Can you guess how many castles there are iN Germany? 5,000? More or less? Actually a lot more! The estimated number goes up to 25,000! While we can think of hundreds worth a visit, or even better an iNSIDE EUROPE sight-sleeping stay, only a few are known outside of their homeland. 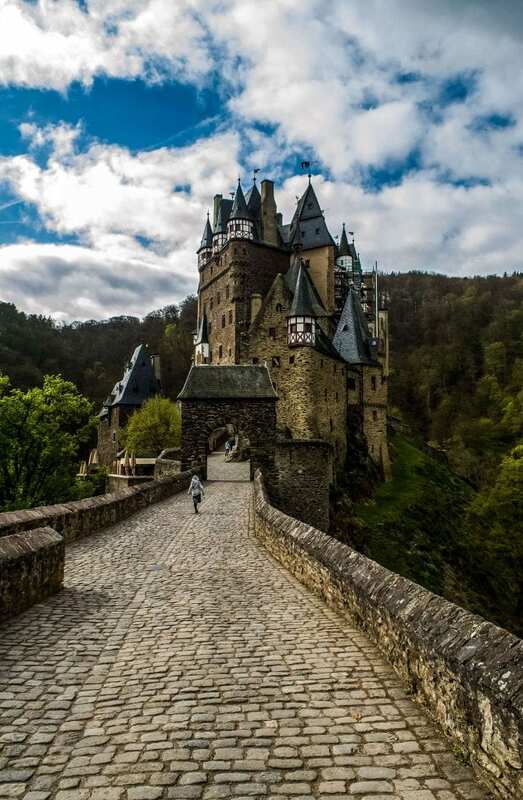 Here, Burg Eltz is beautifully captured by blogger Erin McGann. “Burg Eltz is my favorite German castle”, she says. Read more on Erin At Large . Still curious as to how many German castles there are? The story continues on Deutsche Welle Travel. Next:How do you say “Cheers” iN Ireland? Sláinte!